Medicine is undergoing a major paradigm shift from a reactive, organ based diagnosis and disease management system to an engaged, proactive, molecular based systems approach. This is being called “4P Medicine: Personalized, Predictive Preventive, Preventive and Participatory. This new medicine is emerging from the rapidly growing new science of systems biology including the study and application of genomics, proteomics, metabolomics and the microbiome. The super-convergence of “omics”, new computational tools and an increasingly engaged and knowledgeable population who are using ever more sophisticated biometric tracking devices and learning from each other through social networks is fueling this revolution. The promise of the new “omic” technology is nothing short of ushering in a whole scale revolution in medicine. If you really think about it, we don’t really understand the underlying mechanism for many common diseases. Take hypertension, diabetes, asthma, Alzheimer’s etc., do we really understand the underlying pathophysiologic mechanisms that are in play in a given individual? Why does one person manifest a disease at a particular point in time and another not? We are beginning to understand that it is the complex interactions between your genes and the environment that leads to a certain set of biochemistry/physiology which then translates to a given expression of functioning (phenotype). This phenotype changes with changes in the environment (epigenetic influences). Dr. Jeffrey Bland writes about this eloquently in his latest book “The Disease Delusion”. You change your environment (which includes the sum total of what your mind/body/spirit is exposed to) and you change your DNA expression which changes who you are! Using “omic” technology we are going to be able to better understand this complex gene-environment interaction as never before. The ability to analyze your DNA for your genetic tendencies plus the resulting protein expression and downstream arrays of hundreds of metabolites, including an understanding how your micro biome (ecology of gut bacteria) might be influencing all this – will begin to give us a picture of what is really going on in a given individual. This will in turn give us a better chance of correcting these imbalances at a root level to achieve more like what a cure is rather than symptom management. We tend to have a never-ending fascination with technology (there is nothing wrong with this at all) but we should be wary about continuing down the reductionist rabbit hole and to not forget that the total is much greater than the sum of the different parts. 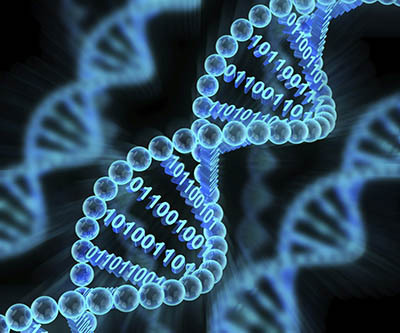 Even if we think we can measure everything there is to know about a human being, there will be infinitely more that we cannot quantify in terms or numbers, base codes of DNA etc. What we need is a vision of the Future of Medicine that includes a balanced view of the new technology but calls us to remember that the “molecular/digital you” is not and never will be the same as the “human you”. An integrative view includes an ecological whole person approach that understands that our health is not separate from anyone or anything else, but is part of an interconnected, interdependent web of relationships between all of us and our biosphere.